Welcome to Search Vancity Homes Real Estate Blog. Check back often for updates on the Vancouver and surrounding cities real estate markets. As the 3rd largest cosmopolitan city in Canada, Vancouver is consistently making the top of the list for the best cities to live in the world. Located in the stunning province of British Columbia which is known for its abundance of green forests and outdoor activities. 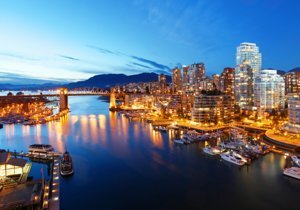 Vancouver is a port city that boasts some of the best restaurants, shopping and entertainment in Canada. Not only is this pristine city framed by towering Mountains, it is situated between English Bay and the Burrard Strait providing this urban hub with beautiful beaches and sea front parks. So why should you buy Real Estate in Vancouver? The design of Vancouver makes It one of the most beautiful and liveable cities in the world. There is no other city in Canada that matches Vancouver’s breathtaking skyline. In fact, the city was laid out to include extensive residential properties meaning home buyers are spoiled for choice from detached single-family homes to condos, town homes, lofts and luxury real estate. The placement of the city is geographically perfect because to the north you can see beautiful mountains, to the east your see Mount Baker, to the south you can see the Strait of Georgia (from elevated levels) which is by the US border and to the west which has some of the most breathtaking water views this city has to offer. The real estate market has been incredibly lucrative in Vancouver. 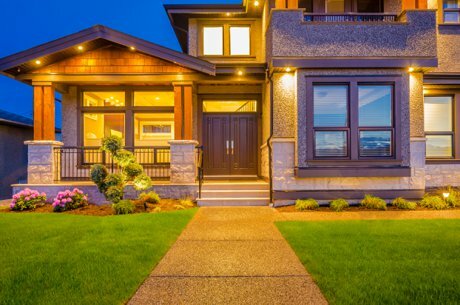 Even through the recession, Vancouver real estate prices quickly rebounded and exceeded peak levels. It’s true that real estate prices are soaring and there is little indication that this trend will stop due to the interest of foreign buyers and the popularity of Vancouver even for Canadians. Vancouver has some of the highest rental rates in North America and still the vacancy rate is at an all-time low meaning an investor who is looking to rent their property out will do so without a problem and for record high rental income! For a large city Vancouver is incredibly friendly. Tourists find locals to be helpful, polite and considerate but even Vancouverites have developed a strong sense of community. 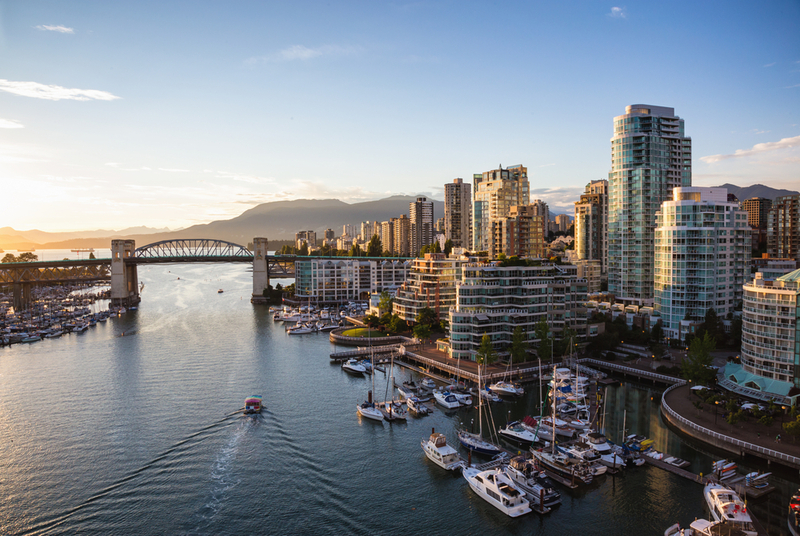 Moreover, Vancouverites tend to be extremely proud of their city and make a serious effort to maintain its pristine appearance and that’s why Vancouver is one of the cleanliness and greenest city in the world! As you would expect from any major city, Vancouver has extensive outdoor recreation and entertainment opportunities. Famous for the range of mountains and lakes at your fingertips, locals are usually quick to point out that there are few other cities in the world where you can ski/snowboard in the morning and kayak or go boating in the afternoon. Vancouver is ideal for nature lovers, but don’t be fooled this city is also known for its restaurants, sporting events, excellent night spots and a jam-packed event calendar. In May, you can literally be skiing in the morning, at the beach in the afternoon then a Vancouver Canucks hockey game in the evening and finish off your night with a drink at a nice lounge in Yaletown. There is so much variety on the famous Robson street and Alberni street where you’ll find a plethora of high-end shopping options; on Granville, you’ll find casual styles while Gastown offers independent clothing boutiques. Visit Pacific for a condensed shopping scene such as Nordstrom, Holt Renfrew, Harry Rosen and many more but don’t forget to check the Kitslano neighbourhood as well for more diverse shopping including a wide variety of luxury car dealerships. The Greater Vancouver area (lower mainland) offers an excellent education system including private and public schools, as well as some of the top universities in the country. Every neighbourhood in Vancouver is home to safe and successful schools for parents with children under the age of 18. Add to that the University of British Columbia, Simon Fraser University, BCIT (British Columbia Institute of Technology) and the Emily Carr Institute of Art & Design are excellent post-secondary options. A centre of shipping and industry, Vancouver offers many great employment opportunities. One great example is Hollywood north. With the US dollar being strong the film industry in Vancouver is at its peak and the industry is in need of workers. Another great example is the hot real estate market which is creating a high demand for jobs relating to trades or anything construction related due to the countless new projects being built. Plus, with excellent rapid transit, this residentially designed urban centre offers an unparalleled chance to strike the perfect work-life balance. Vancouver is blanketed with temperate rainforest therefore it sees its share of rain but the overall climate of the region makes it one of the most comfortable places to live in North America. Vancouver is easily the warmest city in Canada throughout the year. Very rarely does the temperature drop below 5 degrees during its winter season while the rest of the country is experiencing minus 15 to minus 30 degree conditions. The summer months can get hot and even more hot in the valley which is an hour outside of Vancouver but it won’t be unbearable. Over the past 20 years, Vancouver’s growth has been extraordinary. The huge influx of immigrants from around the world and the 2010 Olympics has helped to ensure that business and expansion will continue in this growing city. This means any investment in Vancouver real estate will make good financial sense as well because the more the population grows the more lucrative real estate becomes in this city. Last but definitely not least of the reasons to buy Vancity real estate would be complete without mentioning it’s abundance of nature. Vancouver is by far one of the most naturally beautiful metropolitan cities in the world. The mountains, trees, lakes and beaches make this place the perfect location for outdoor enthusiast. Even if you live in the downtown core you are a short walk from the sea wall that takes you from Coal Harbour through Stanley Park (3rd largest urban park in North America) all the way to Spanish Banks (by UBC) which is 13-15km in total. Report courtesy of the Real Estate Board of Greater Vancouver. Download the full stats package by clicking here.